Read each short lesson and pass tests along the way. 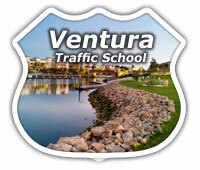 If you receive a traffic ticket for a moving violation in Ventura County, chances are you can take an online traffic school course or workbook traffic school course to have your ticket dropped from your record and keep your insurance from rising drastically. Pass final exam & state gets your completion certificate.